EU Commissioner for Education, Culture, Multilingualism and Youth, Androulla Vassiliou, who will attend Cedefop’s conference on tackling skill mismatch through work-based learning and apprenticeships (12-13 June 2013, Thessaloniki, Greece), talks about the latest European initiatives to alleviate youth unemployment and refocus education and training. 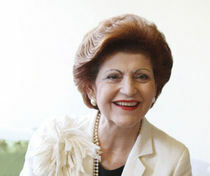 In an interview with the conference’s journal, Ms Vassiliou said that ‘combating youth unemployment is a top priority for the European Union’. She added that ‘Rethinking Education’, the recent political communication of the European Commission to the Member States, aims to make sure that ‘education and training systems equip young people with the skills and qualifications they need to find a job’. Cedefop’s conference will debate how vocational education and training can be improved by information on labour-market trends, how various forms of apprenticeship can address youth unemployment and how peer learning and alliances can help develop work-based learning. The recently launched Youth Guarantee and the European Alliance for Apprenticeships, which will be officially announced in July, are aimed at addressing skills and employment issues. The Youth Guarantee is a commitment, backed by a budget of EUR 6 billion, to get every young person under the age of 25 into a job, an apprenticeship or a traineeship within four months of leaving school or becoming unemployed. ‘Now, it is up to the Member States to translate the Youth Guarantee into concrete action as swiftly as possible and to invest also their own money to avoid higher costs in the future’, said Commissioner Vassiliou. She also called the apprenticeship alliance ‘an example of the great value of working together in partnership’ with the goal of achieving excellence in work-based learning ‘not just in a few European countries but in all of them’. The full interview with the Commissioner will be published in the conference journal.